President Eisenhower (left) visited Iran's Shah Reza Pahlavi in Tehran in 1959. The U.S. had begun working with Iran to launch its nuclear program two years earlier and would provide Iran with its first nuclear research reactor in the 1960s, at Tehran University. President Dwight D. Eisenhower delivered his Atoms for Peace speech at the U.N. General Assembly in 1953. As part of this program, the U.S. helped Iran and other countries develop civilian nuclear technology based on the belief this would keep them from seeking nuclear weapons on their own. Ayatollah Khomeini was mobbed by supporters when he returned from exile in the 1979 revolution that overthrew the shah. Khomeini saw Iran's nuclear program as a symbol of Western influence and had no interest in pursuing it, at least initially. Iranian women shout anti-American slogans after Friday prayers at the Tehran University mosque in 1997. 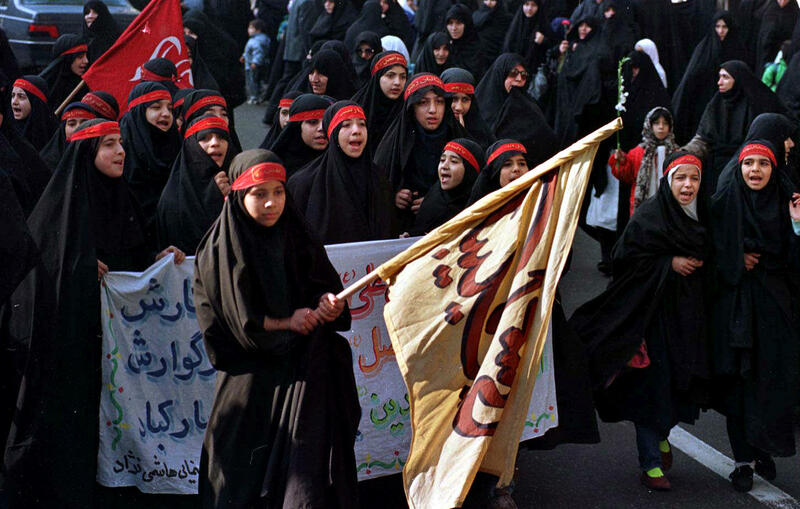 Crowds gather every Friday after the prayers and often chant "Death to America" at the university — not far from the place where Iran has a nuclear research reactor provided by the U.S. in the 1960s. 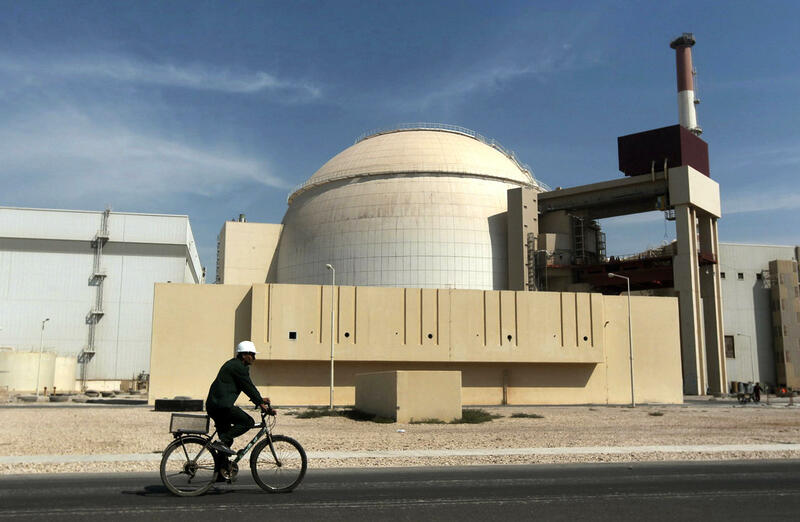 A worker rides a bicycle in front of the reactor building of the Bushehr nuclear power plant in southwestern Iran. 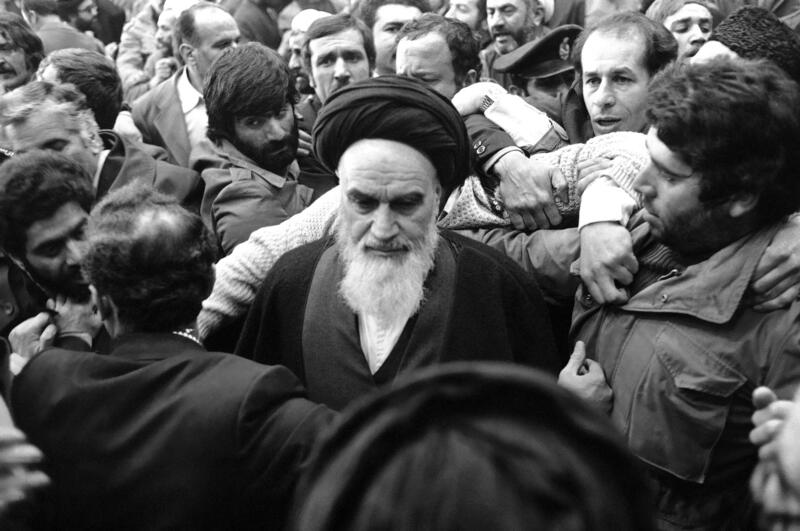 After the 1979 Islamic Revolution, the ruling clerics initially said they had no use for a nuclear program. Ayatollah Khomeini said the silos at the Bushehr facility should be used to store wheat. 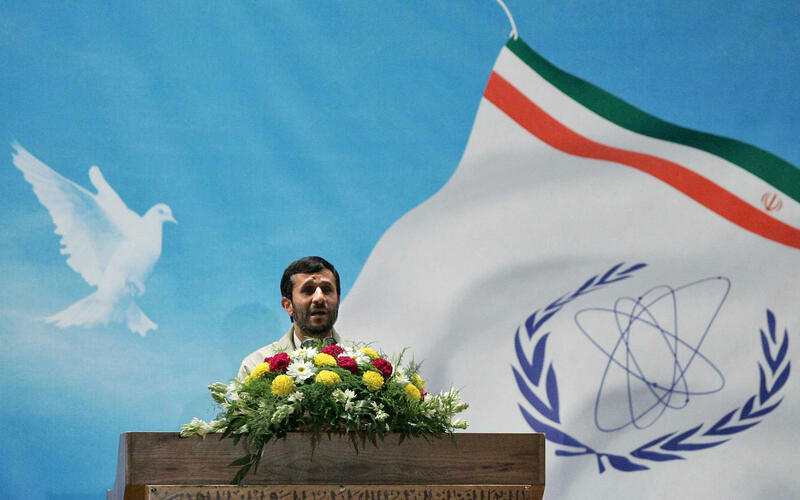 Mahmoud Ahmadinejad, Iran's president from 2005 to 2013, was a strong proponent of Iran's nuclear program. 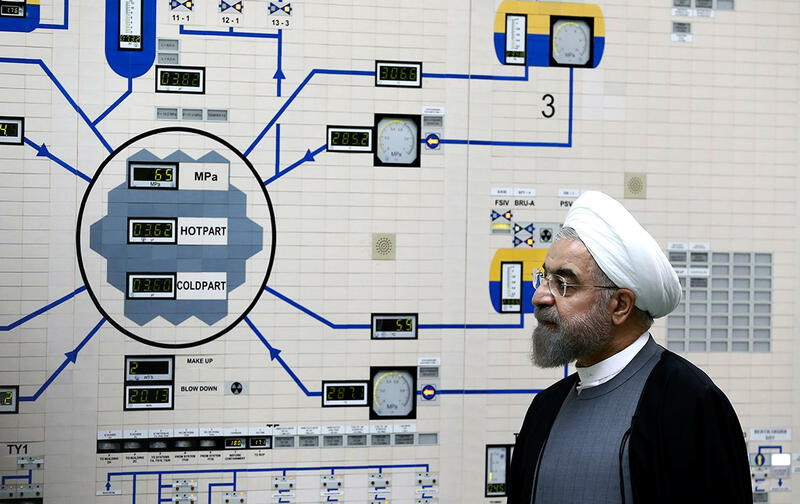 President Hassan Rouhani visited the Bushehr nuclear power plant in January. Rouhani, a former nuclear negotiator for Iran, supported the talks that led to the nuclear deal this summer between Iran and six world powers. This is the story of the United States, the atom and Iran. It's the story of a historic nuclear agreement — a story we may be tempted to think we know. After all, Congress just finished a chaotic debate that ended when lawmakers failed to block the deal. There was no solemn national moment of decision — no up-or-down vote, as with a treaty or a war. But this was just the latest twist in a long and complex tale that dates back more than a half-century. "The Iranian nuclear program has deep roots. In fact, it is four years older than President Obama," says Ali Vaez, the International Crisis Group's senior analyst for Iran. Vaez grew up in Iran, which means the nuclear program is a personal story for him. "It started in 1957," he says, "and ironically, it is a creation of the United States. The U.S. provided Iran with its first research reactor — a nuclear reactor, a 5-megawatt nuclear reactor that is still functioning and still operational in Tehran." The U.S. built that nuclear reactor in 1967 on the campus of Tehran University. It also provided Iran with fuel for that reactor — weapons-grade enriched uranium. It was part of President Eisenhower's Atoms for Peace program, an initiative to provide countries with peaceful, civilian nuclear technologies in the hope that they wouldn't pursue military nuclear programs. The beneficiaries included Israel, India, Pakistan — and Iran, then ruled by a U.S.-backed monarch, Shah Reza Pahlavi. Under the program, many countries received what Iran did: their own small reactors, their own dollops of fuel. But, says Vaez, "as a result of the oil boom of the 1970s, that [Iranian] nuclear program morphed into a full-fledged civilian nuclear program." Iran had money to exploit the knowledge it was given, and to develop scientific minds. The shah's government paid for dozens of Iranian students to attend Massachusetts Institute of Technology and study nuclear engineering in the mid-1970s, the university said. "The majority of people who returned to the country and started running the nuclear program were trained at MIT," Vaez notes. The trainees have been central to Iran's nuclear program ever since. There was a moment in the 1970s when American officials thought they might be making a mistake. They feared Iran would become one of the nations seeking nuclear weapons. U.S. diplomats began negotiating to limit Iran's nuclear program. They ran into a problem familiar to diplomats today: Iran under the shah insisted it had the same right to nuclear power as any nation. "The shah famously said that unless it was clear Iran was not being treated as a second-class country, he would look for alternative vendors and he would not work with U.S. companies to acquire nuclear technology for Iran." Iran bought nuclear plants from West Germany and France. The research reactor at Tehran University kept working. And then the campus became famous for something else. After the shah was overthrown in 1979, under the new Islamist government led by Ayatollah Ruhollah Khomeini, thousands of people gathered at the university every Friday and angled their prayer mats toward Mecca. "Tehran University is at the epicenter of Friday prayer ceremonies," Vaez says. "And [it] is also infamously known to be [the] epicenter of 'Death to America' chants that are heard every Friday during the prayer ceremonies." The clerics in power did not initially embrace the country's existing nuclear infrastructure, Vaez says. 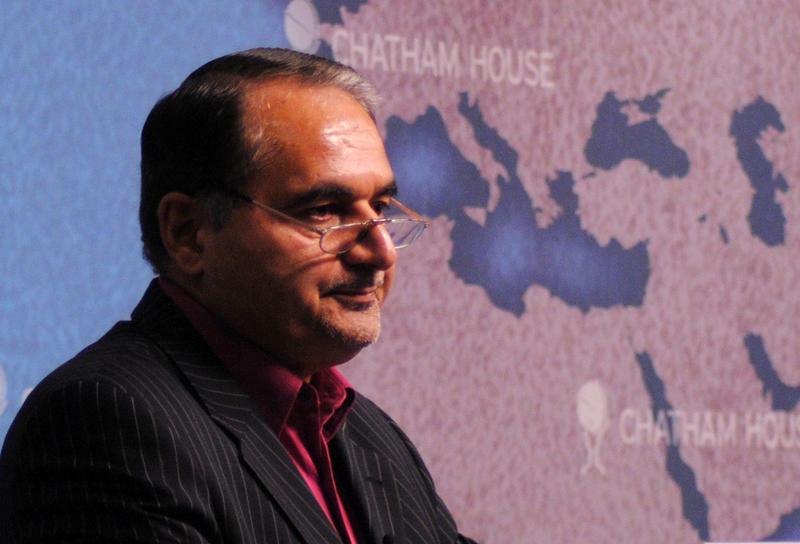 "In many ways, Iran's nuclear program encapsulates Iran's struggle with modernity," he says. "During the shah's time, it was the symbol of the country's march towards modernity. After the revolution, it came to symbolize the kind of rapid modernization that was riddled with corruption and 'West-toxification.' "
"West-toxification" was a term Iran created and used to denote pernicious Western influence that was to be rejected. "Ayatollah Khomeni famously said the unfinished nuclear power plants in Bushehr should be used as silos to store wheat," says Vaez. Ultimately, "they were abandoned as a costly Western imposition on an oil-rich nation." This attitude lasted into the 1980s. But by then, Iran was fighting a brutal war against neighboring Iraq, led by Saddam Hussein. As part of that war, Saddam repeatedly bombed the Bushehr nuclear facility, which was not operational at the time. The war, which lasted from 1980 to 1988, also created severe power shortages in Iran. Eventually, Iran's leaders decided to revive the nuclear program, though the precise reason was not clear. "I was growing up in Iran at the time, and I remember very frequent blackouts that one would experience on daily basis," Vaez recalls. "So it's not 100 percent clear which motivation was more important for the Iranians to resurrect the [nuclearl] program. Was it for the program to serve as a deterrent against future attacks or was it because of the country's dire electricity needs at that time?" As the program revved up, Israel soon began warning that Iran was making dangerous nuclear progress. And American concerns intensified in the years following the attacks of Sept. 11, 2001. "The message to the Iranian people is is that your government is going to cause you deprivation," President George W. Bush said in an interview with NPR in 2007. "If your government continues to insist upon a nuclear weapon, there will be lost opportunity for the Iranian people. They won't be able to realize their full potential." Iran has consistently denied that it wants a weapon, though the U.S. and many others argue otherwise. In the early 2000s, Iran offered to discuss the future of its nuclear program. It even reached a deal with European powers. But the U.S. under Bush did not sign on. The efforts to reach a deal fell apart, and Iran began building thousands of centrifuges that are used to enrich uranium. Vaez says at this point, the meaning of Iran's nuclear program was "mutating." Iran under Khomeini had rejected the program as a symbol of the corrupt West — but now, more than a decade after his death, it was becoming a symbol of Iran's defiance of the West. "This was really a new narrative," Vaez says, "and it was around this narrative that a new sense of nationalism was created." A new Iranian president won office in 2005. Mahmoud Ahmadinejad was a populist leader who questioned the Holocaust and defied President Bush. In an interview with NPR in 2008, when asked if his government had a "proposal that it can make that would reassure the world when it comes to uranium," he said: "Of course, we do have a proposal, and that's to advance law for everyone." 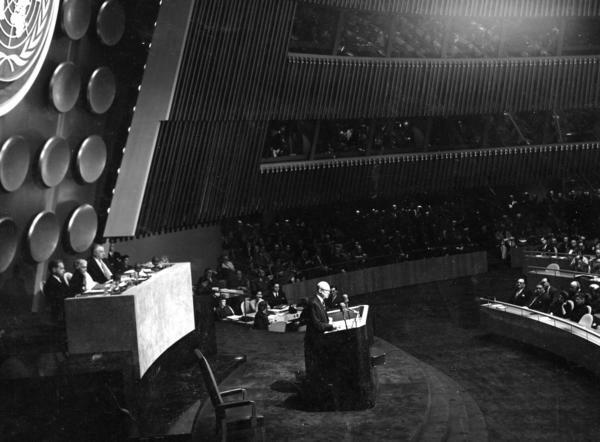 Like the shah decades before, Iran insisted it had a right to a nuclear program. Ahmadinejad persisted, even as his people grew restive and the economy went into sharp decline. In June 2009, Ahmadinejad was re-elected in a disputed vote. Protests erupted on the streets of Tehran and elsewhere. Demonstrators were arrested, tortured and even killed. Discontent was soon repressed. When President Obama's administration tried to negotiate a nuclear deal later that year, it fell apart. The U.S. and other powers intensified sanctions. By 2013, as another election loomed, unrest was brewing again. The Iranian people elected a new president, Hassan Rouhani, who pledged to improve relations with the world. The clerics who hold ultimate power allowed it. Meanwhile, Iranian diplomats were already quietly meeting with the U.S.
American diplomat William Burns, now president of the Carnegie Endowment for International Peace, led the American side in those secret talks. He felt the moment was right for Iran to compromise. "We had built up, by the beginning of 2013, a fair amount of international economic pressure against Iran," he told NPR in July. "You have to remember that its oil exports have dropped by 50 percent. It's the value of its currency, it also dropped by 50 percent." Iran's new foreign minister, Javad Zarif, argued a deal was possible — if Iran would be allowed some level of enriching uranium. "If you say that Iran should abandon its enrichment program, you cannot abandon science," he told NPR last year. "You cannot abandon technology. We have learned this. So the best way is to make sure that this technology is used in a transparent fashion for a peaceful program." That was an argument the Obama administration essentially accepted. The emerging deal ensured that Iran's nuclear activity would be limited, inspections would verify this and economic sanctions would be lifted. Robin Wright, an American journalist, says the current Iranian leadership's familiarity with the West was an advantage in reaching a deal. "President Rouhani got his graduate degrees in Scotland. Javad Zarif went to school in California, New York and Colorado," she says. "Both men understood the outside world in a way that former President Ahmadinejad did not." Iran's supreme leader, Ayatollah Ali Khamenei, permitted their efforts. The groundwork was laid for the deal now about to take effect. It's a milestone in a story that has lasted more than half a century. That story is far from over. "Getting the deal was difficult; winning acceptance in Congress was harder," says Wright. "But we've seen the easier parts. The next 10, 15, 25 years are going to be very difficult." 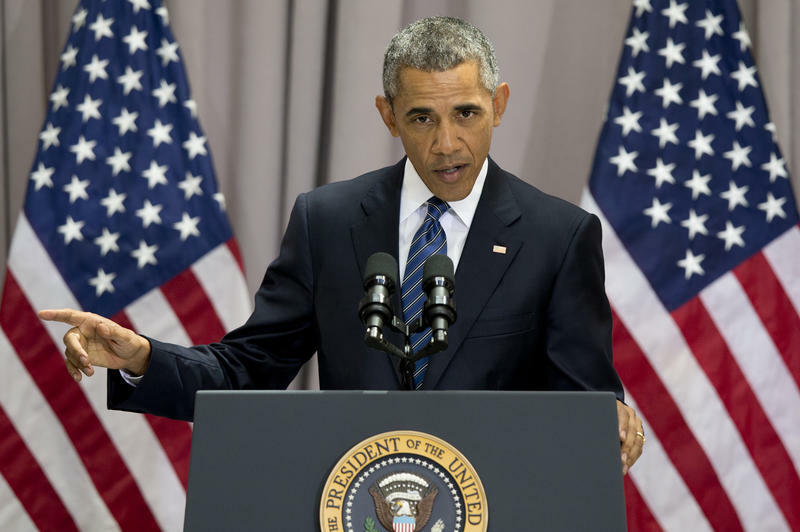 President Obama delivered a foreign policy speech today aimed at bolstering public support for the Iran nuclear deal. He also attempted to discredit criticism from those who claim the agreement was a mistake. "I've had to make a lot of tough calls as president. But whether or not this deal is good for American security is not one of those calls," Obama said during his remarks at American University, located about 10 miles from Capitol Hill.